The moment that I knew a photograph was more than just pretty artwork for the wall was a moment I’ll never forget. It was a place I’d choose to never be in again if I had the choice. As I sat at the funeral of a young mother, who happened to be a client that turned into a friend; the photograph I took just 4 years prior, of her holding her newborn was displayed in front of her casket. Just a week before her funeral we were planning out her next photo session and just like that she was gone. I couldn’t help playing it over and over in my head that her two young daughters wouldn’t have their mom to look at anymore. They couldn’t just go into her room or call out her name and see her face like a child should be able to do. They couldn’t feel her hugs or her kisses any longer. Her daughter who wasn’t even one years old, wouldn’t remember the sounds of her mothers laughter. What they did have were photographs and it was then I realized that a photograph could be so much more than just an image. It could be a way to be with the ones we love even when we are far apart from them. When I got home from her funeral I hugged my kids a little bit tighter and longer that day. I thought about my place in the world and what I could offer the people around me. I didn’t understand the true power of an image and the place I had in creating them. Finding my place as a photographer hasn’t been an easy journey. I have spent the last year now diving into documenting families by capturing moments that showcase each family member and their unique personalities. I found it is a way to create genuine raw images. The kind of photos that make you feel like laughing, crying or doing something in between. 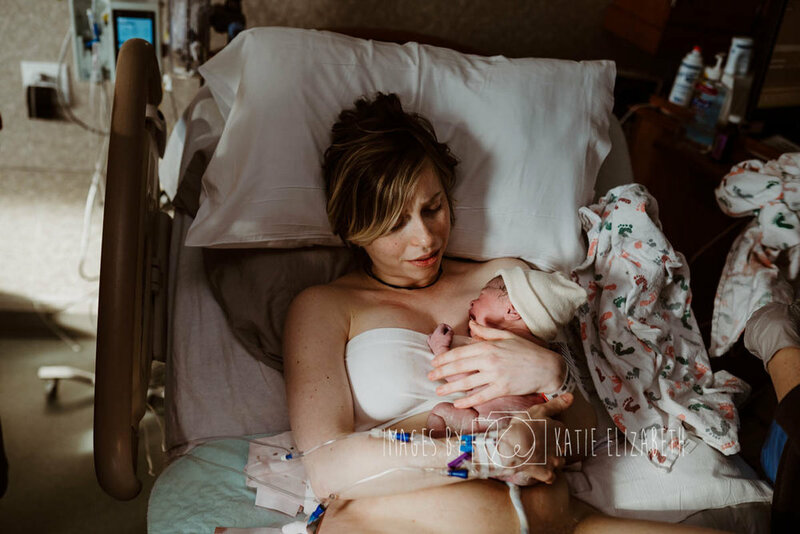 Just a few short months ago I photographed my first birth and I fell in love with photography all over again. The fact that I get to provide a service that will cause people to feel joy for years and years into the future is an honor beyond anything I can describe. Girls will grow up and become women and some of those women will begin the journey into motherhood and when they do I hope they have their moms to share their experiences with them. 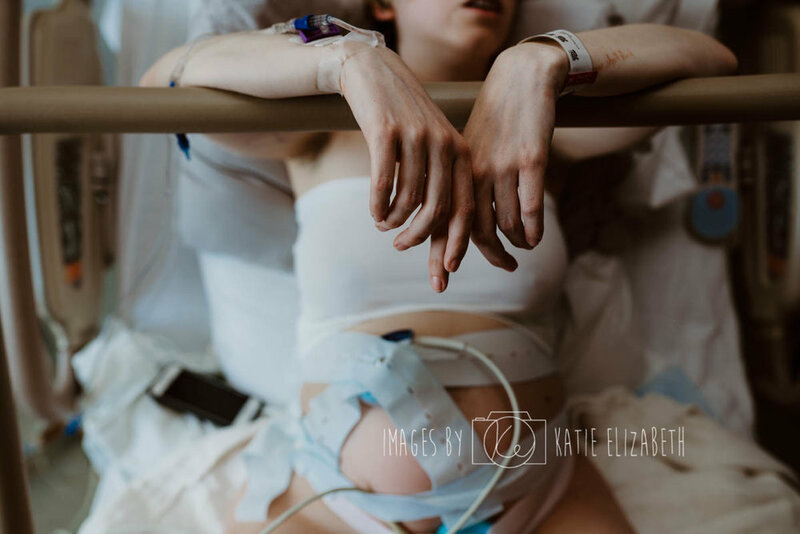 But for those that have lost their moms along the way, could you imagine how special photographs of them experiencing motherhood would be? The mom is these images was courageous and strong and she too lost her mother. 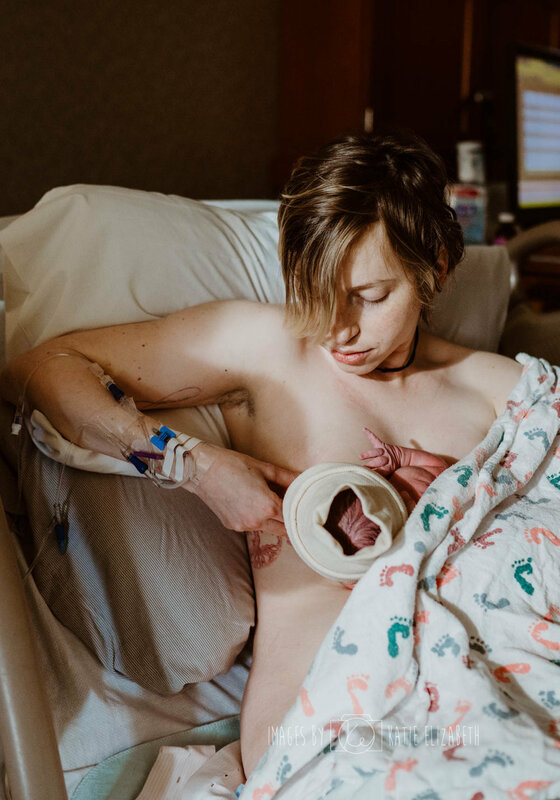 I choose to share these photos with this story because the joy and strength this mom had bringing her baby girl into the world was empowering to capture. 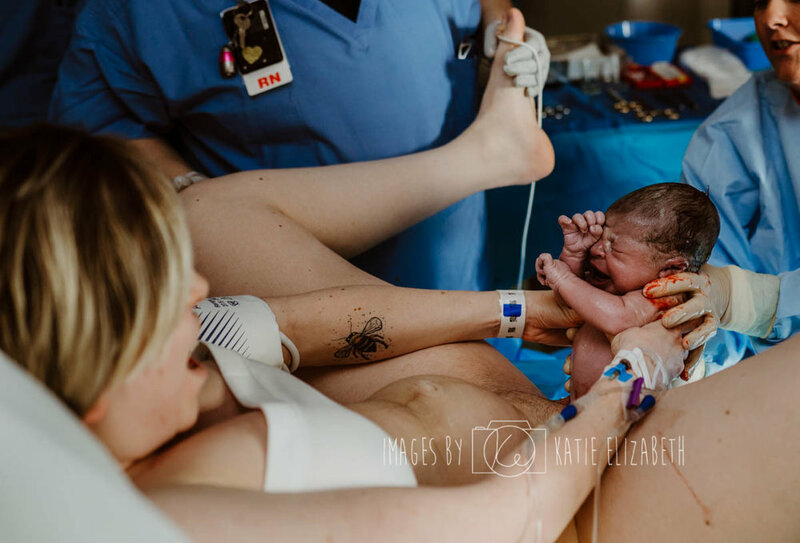 She said how this was the best day of her life and giving birth was the most amazing experience she has had. Now when I get behind the camera I feel a sense of purpose that I have never felt before. I know that I am providing images that will be a way for families to feel close, even when they’re miles apart. 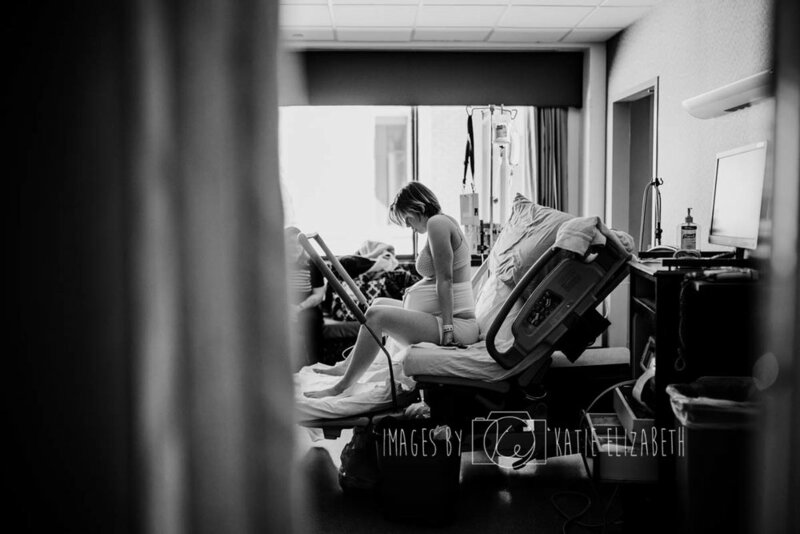 Already an experienced birth photographer and want to take your career to the next level? Check out our Advanced Learning Library comprised of specialized courses created by leaders in the birth industry.